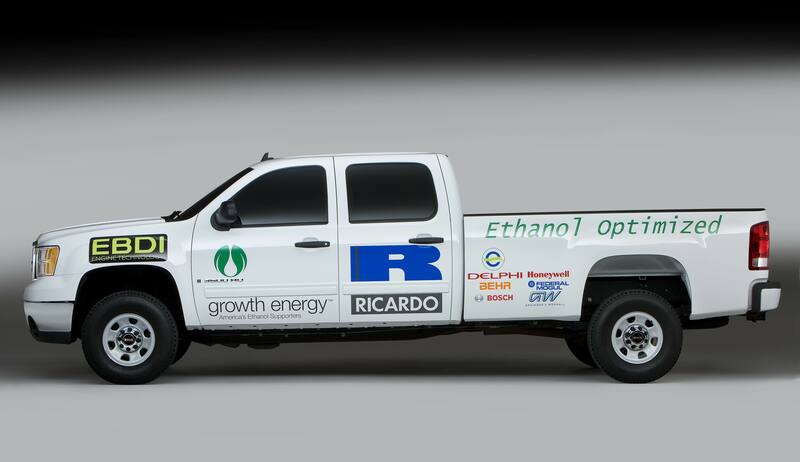 It was announced today at the Washington Auto Show that Ricardo and Growth Energy are to collaborate on a project which will bring together for the first time the shared skills and expertise of a global leader in automotive and clean energy technology with America’s foremost body representing US ethanol. Together these two partners aim to demonstrate that a highly optimized engine fuelled on ethanol can provide a cost-effective, low-carbon, high-fuel economy alternative to fossil fuel. Two demonstrator vehicles are to be produced incorporating Ricardo’s EBDI engine technology, showing that even for larger vehicles, extreme optimization of ethanol combustion can enable engine downsizing of the order of 50 percent and still deliver substantial fuel economy and CO2 emission improvements from a cost-effective, high performance, inherently low emission powertrain. 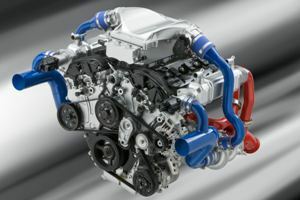 Based on test work already carried out, Ricardo estimates that a fuel economy improvement of up to 30 percent is possible with no loss of power or performance, using a downsized EBDI engine in place of currently available gasoline powertrain technology. domestic ethanol’s potential, as a high-octane, low-carbon and renewable fuel, to lessen American dependence on gasoline refined from carbon-heavy oil imported from overseas at growing risk to US economic and national security. Following completion of the ten month project, the demonstrator vehicles will be available for a range of demonstration, test and evaluation exercises to be organised by Growth Energy and Ricardo. 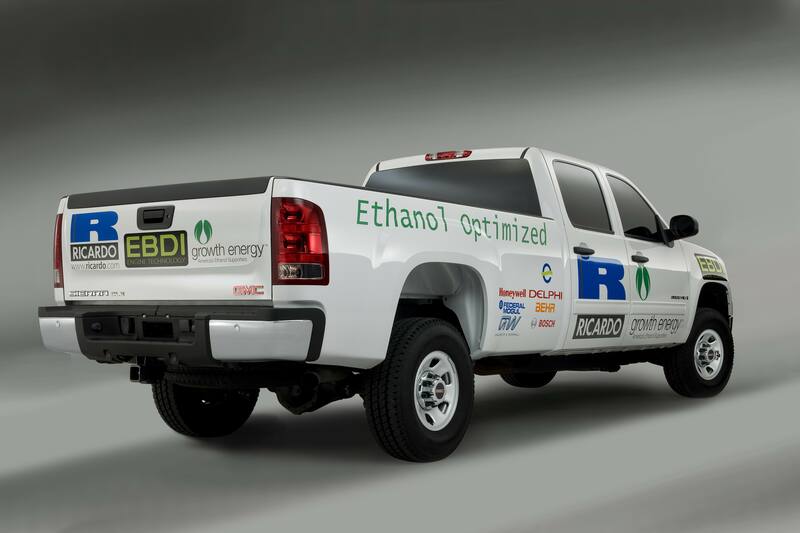 Ricardo’s EBDI engine technology solves many of the shortcomings of current generation flex-fuel engines, which are typically only optimized for gasoline operation and do not make full use of the properties of ethanol. Unlike existing flex-fuel technologies EBDI takes full advantage of ethanol’s properties of high octane and latent heat of vaporization to deliver near-diesel levels of engine efficiency at substantially reduced cost. For example, a flex-fuel product derived from a standard gasoline engine might suffer a fuel economy penalty of about 30 percent when operating on higher ethanol blends such as E85. The Ricardo EBDI engine addresses this problem by being able to adapt its operation to offer fully optimized flex-fuel performance on any blend of fuel from standard pump gasoline to E85 fuel. It achieves this through the sophisticated application of the latest in boosting technologies, fuelling strategy and combustion control, matching the effective compression ratio and in-cylinder conditions to precisely those required for optimal performance and fuel efficiency. In doing so it offers exceptional fuel economy and high specific performance without the need for complex aftertreatment technology to meet current or planned emissions regulations. The U.S. Department of Energy estimates that for every one billion gallons (US) of ethanol produced, 10,000 to 20,000 jobs will be added to the economy. If Growth Energy’s Green Jobs Waiver is approved by the U.S. Environmental Protection Agency, it could create as many as 136,000 new jobs when the ethanol blend rises to 15 percent. According to US Department of Energy estimates, ethanol use reduces the price of gas by as much as 20-35 cents/gallon (US), saving the average American household $150-$300/year. This project is highly relevant to the emerging needs of the North American transportation sector. Under the Renewable Fuels Standard adopted by Congress as part of the 2007 Energy Independence and Security Act, the United States has established the goal of consuming 36 billion gallons (US) of renewable fuels, such as ethanol, by 2022. The intent of the legislation is to reduce the consumption of fossil fuels – reducing net emissions of greenhouse gases – and reinforce economic and national security through the development of domestic sources of renewable energy. The achievement of these targets will require the coordinated efforts of automotive manufacturers, engine-makers and renewable fuels producers in delivering a fleet of passenger, light- and heavy-duty vehicles that are optimized for renewable fuels such as ethanol. 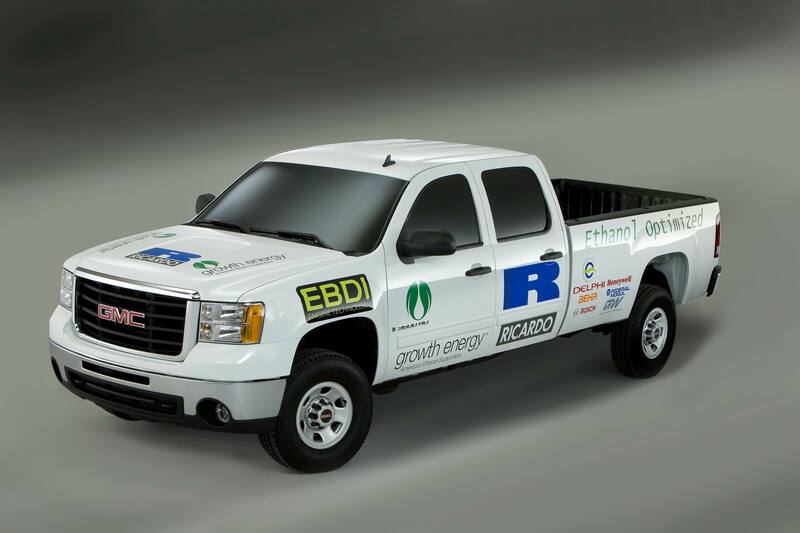 Through the project announced today, Ricardo and Growth Energy aim to demonstrate that EBDI offers a market-ready solution that could enable the delivery of such optimized vehicles.